Whether you’re planning your custom Peru vacation for winter, spring, summer, or fall, there’s likely to be a major festival, pilgrimage, or procession unfolding somewhere in Peru. 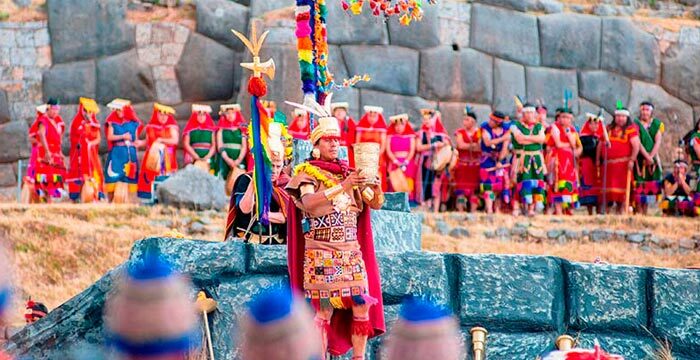 From Inti Raymi in Cusco in July to Carnival countrywide in February, experience the atmosphere of a true Peruvian celebration on your personalized tour of Peru. Nothing much really happens in the small Andean town of Paucartambo, except for a few days in mid-July when the entire Sacred Valley, as well as thousands of tourists, trek here for the festival of the Virgen del Carmen. Lasting between three and four days, the festival is a round-the-clock event with music, dancing, drinking, eating and elaborate costumed reenactments. The festival celebrates the eponymous virgin, whose head – legend has it – appeared and chatted to a tradeswoman on a silver plate. In a typical-to-this-region blending of indigenous and Catholic beliefs, the virgin is said to be both an incarnation of the Virgin Mary and Pachamama, the Andean Mother Earth deity. This festival comes to a head on July 16, when the statue of the virgin – dressed in lavish garb and sprinkled with flower petals – is carried through the streets in a solemn processions said to ward off evil spirits. The Virgen del Carmen is a notoriously raucous and spirited event with an infectious energy – if you want to experience it for yourself, we can arrange for you to stay a while in this mountain town and witness the joyous celebrations. The annual mountain pilgrimage is a long-standing Andean tradition, taking place in the Sinkara Valley south of Cusco. 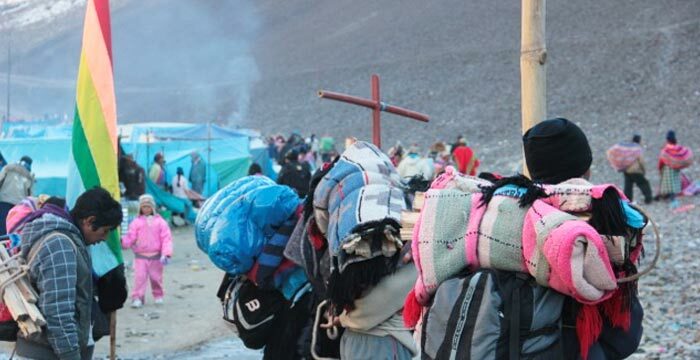 Every year, thousands of mostly native Peruvian and Bolivian travelers arrive here to ascend the “apu” (sacred mountain) of Ausangate to pay homage to the Pleiades star group, which go AWOL from skies in early April before re-appearing again in June, signifying renewal and the upcoming harvest for the pilgrims. As they reach the glacier, some pilgrims harvest chunks of ice from it, believing them to have special medicinal and magical properties. Between the thin, high-altitude air, the swirling music and symbolic dances performed by the costume-clad pilgrims, the Quyllurit’i pilgrimage can be a rather surreal and heady experience indeed – perfect for travelers to Peru who feel they’ve seen all there is to see! Things come to a climax at sunrise on the Monday when thousands of devotees kneel before the rising sun as the first rays of the day hit the Earth – a truly humbling display of religious devotion. Dates of the festival, which has been declared part of the Intangible Cultural Heritage of Humanity by UNESCO, vary according to the lunar cycle. Check with a Kuoda planning representative to find out when the festival is taking place this year. 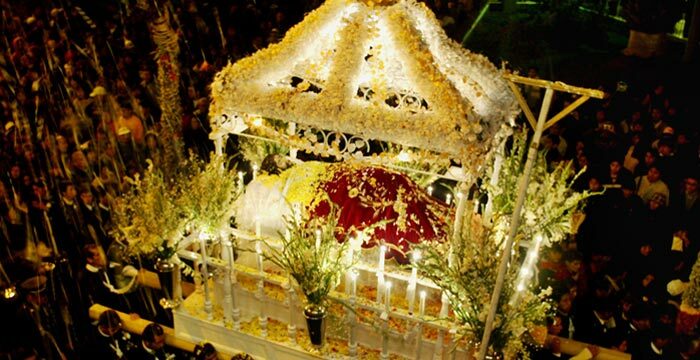 Forty days before Easter Sunday, just before the Catholic period of Lent begins, parties get underway all across Peru. 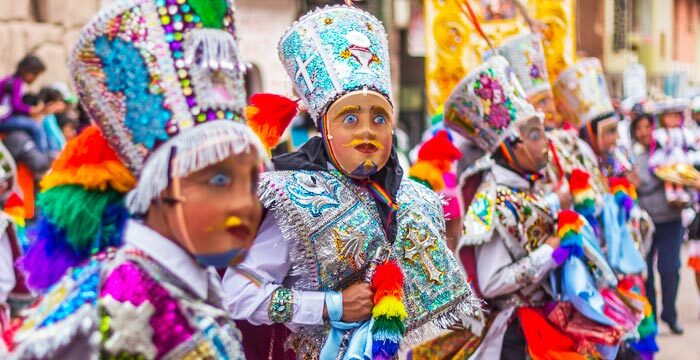 No doubt you’ve heard of Rio’s famous Carnaval celebrations, but things can and do get pretty wild here in Peru too, between the competitions and parties, costume parades and traditional water balloon fights, which usually turn into a battle of the sexes-style war between boys and girls! The water bomb fights can be unpredictable; walk down the wrong street in February and you may find yourself being pelted with balloons from unknown assailants up on the roofs – don’t worry, we’ll have towels on hand just in case! The city of Cajamarca, in northeastern Peru, is an incredibly fun place to be during Carnaval season. During the celebrations here, look out for the yunsa tree, which can be identified by the various toys and ornaments hanging from its branches. Toward the end of the festivities, the yunsa tree is cut down and partygoers clamber to grab the best prizes from its branches. 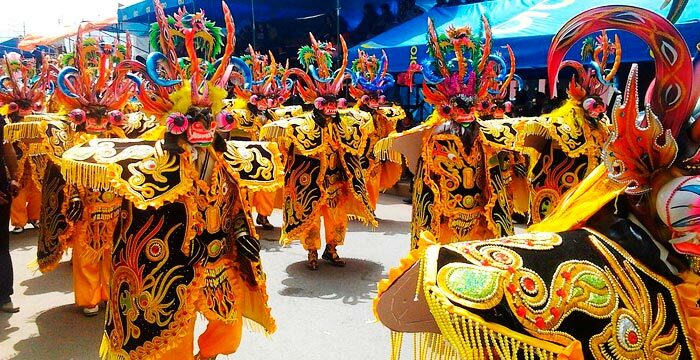 Cajamarca isn’t the only place to celebrate either; Huaraz, Iquitos and Puno also host happening Carnaval festivities. Planning a trip to Peru for February? Kuoda can help you experience some of that famous Carnaval cheer. Thanks to its proximity to the Lake Titicaca, this lakeside town sees a steady influx of visitors year-round, but the Virgen de la Candelaria Festival at the start of February is a whole other reason to call tourists to this town. This event, which runs for 18 days, is the third-largest Carnaval celebration in all of South America, with more than 50,000 dancers and 20,000 musicians lending their talent to the event. 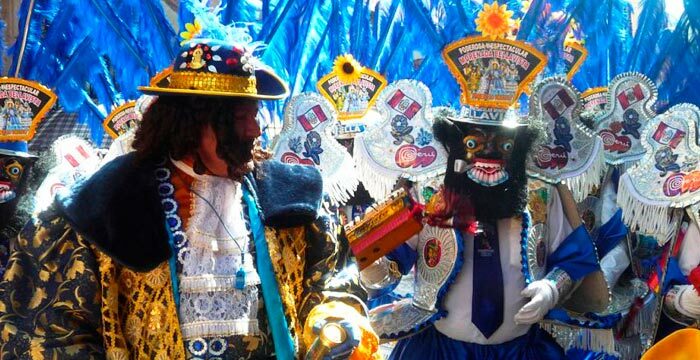 February 2 – where marchers parade down the street wearing labor-intensive costumes loaded with sequins, tiny mirrors, ribbons, beads and fringe along with the Virgen de la Candelaria icon – is the festival’s zenith. If you are thinking about attending the festival, Kuoda can help build you a customized itinerary for your trip to Peru.